SickBeard vs SickRage - a better SickBeard alternative? Home Home Server SickBeard vs SickRage – a better SickBeard alternative? 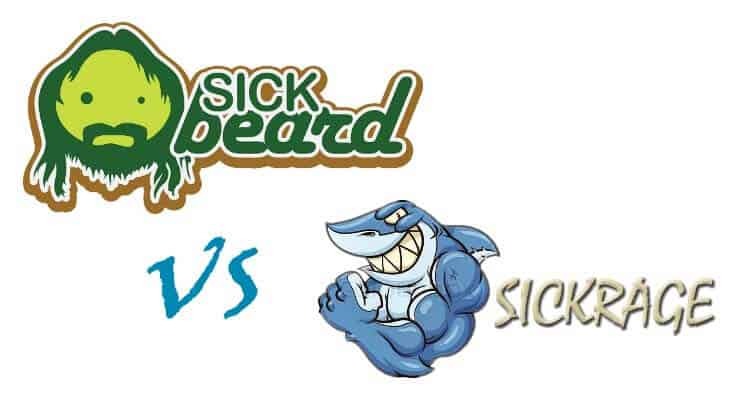 SickBeard vs SickRage is a topic that has gained traction in the recent times due to the growth of SickRage, a Sick Beard fork that is seeing superfast development with some cool extra features. 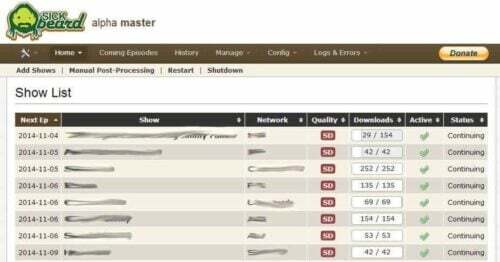 Both SickBeard and SickRage are video file managers or personal video recorders (PVR) that download your favorite Shows automatically (when they become available) and organize them. Frankly, I have never messed with my SickBeard setup as it has been working flawlessly for 2 years now. I even did a SickBeard vs NzbDrone comparison and installed NzbDrone for a while. But later came back to SickBeard because it just worked. NzbDrone looked awesome but the difficulty in setting it up and making it work was a challenge. SickRage is an enticing alternative to SickBeard because it looks and functions similar to Sick Beard but brings several interesting features on-board. So for my own benefit and for my readers I decided to do a quick SickBeard vs SickRage comparison. SickBeard or SickRage – Which one to use? Since we have already covered SickBeard extensively, this SickBeard vs SickRage comparison will mainly focus on SickRage features that make it a viable competitor to SickBeard. SickRage vs SickBeard, searches both TVDB and TVRage and so there is little to no chance that it may miss any shows that you might like to add. So if SickBeard is having trouble handling a show you like then try SickRage. Listed below are more specific SickBeard vs SickRage comparisons. While this is a minor item, SickRage brings a way better user interface than SickBeard. I find it a lot more organized. In comparison, SickBeard's interface looks a bit plain. SickRage compared to SickBeard, offers awesome torrent support out-of-the-box. In spite of the advantages of Usenet over torrents, if you do not want to get into Usenet, definitely give SickRage a try. It supports uTorrent, Transmission, Deluge, Synology DS, and rTorrent, making it easy to pass downloads to your favorite torrent client. Compared to SickBeard, SickRage offers a lot more search providers. As explained above, this includes a lot more torrent providers too. To me this is one of the best advantages of SickRage over SickBeard. 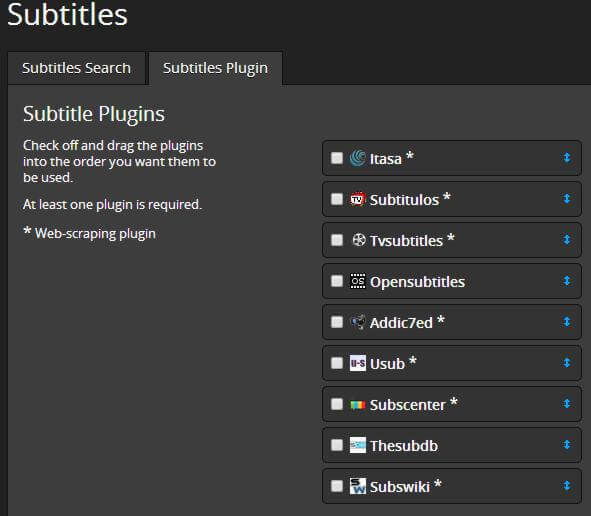 SickRage includes a simple subtitle downloader with support for several of the subtitle databases. Just enable subtitle download and SickRage should download appropriate subtitle automatically. One of the drawbacks of SickBeard was the need for manual update. Recently, I showed you how to overcome this and auto update SickBeard. But on SickRage this is a non-issue as it allows for silent automatic SickRage app updates in the background. Keep in mind that automatic updates to new releases as soon as they become available can be a bit risky due to unexpected bugs. In the SickBeard vs SickRage comparison, if you still don't have a clear leader then this should help you out. SickRage allows you to backup and restore your SickRage database and settings. So if you have to move your SickRage installation to a new machine or want to mess with current installation you can easily backup your database and configuration with just a few clicks. SickRage allows “Require words” option in search settings for better filtering by language, releases, encoding, etc. For the answer to SickBeard SickRage comparison is quite clear. I tried NzbDrone (or now known as Sonarrr). I liked it but I felt at home with SickBeard (except the lack of subtitle support and automatic updates). SickRage has a better WebUI and also adds several other neat features. So in the coming days I will be moving to SickRage. If you are new to this, I would say start with either SickRage or Sonarr. If you are already using SickBeard then do not hesitate to migrate to SickRage. I will be publishing guides on how to install SickRage and how to move from SickBeard to SickRage, shortly. So hang tight. This comparison is not meant to be a ding on SickBeard. If not for SickBeard there may not be a SickRage. At this point of time, SickRage is developing faster with newer features. I hope this SickBeard vs SickRage comparison helped you.